Fortune House Seafood Restaurant has been in business for the last 25 years. It’s been steady for the business over the years, but they heavily rely on the 70% regular elderly customer flow that comes everyday. They recognize that this isn’t sustainable, and expressed to us that their challenge is attracting brand new customers and the young professionals that haven’t heard about the restaurant before. Since Food Connections Consulting stepped in, we helped them with strategic marketing both internally and externally. Hearing the owner’s story behind their business, we created a partnership with a charity that really aligns with their vision to serve the community. We guided them through strategies to improve their product branding with slight recipe tweaks that will maximize profit at minimal cost. Finally, we redesigned their menu in a strategic way that guides the customer’s eye to order items without focusing on price. We revived their social media channels on facebook, instagram, and twitter, which allowed customers to exponentially spread the word about the restaurant online. We also brought in 45 food influencers and bloggers into the restaurant for a high impact event that drastically increased the restaurant’s publicity. Since the implementation of a strategic marketing model, Fortune House has experienced over 10% increase in sales this year, breaking their 25-year record. 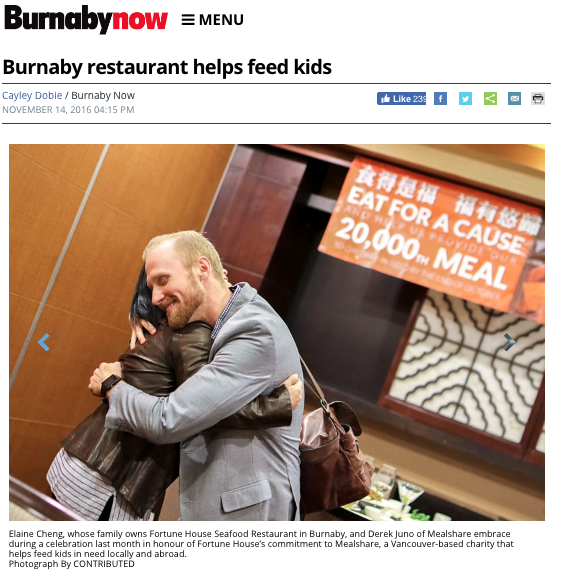 It’s tough running a restaurant business in a competitive city like Vancouver and we are proud to help their business thrive while showcasing their dedication towards social responsibility.